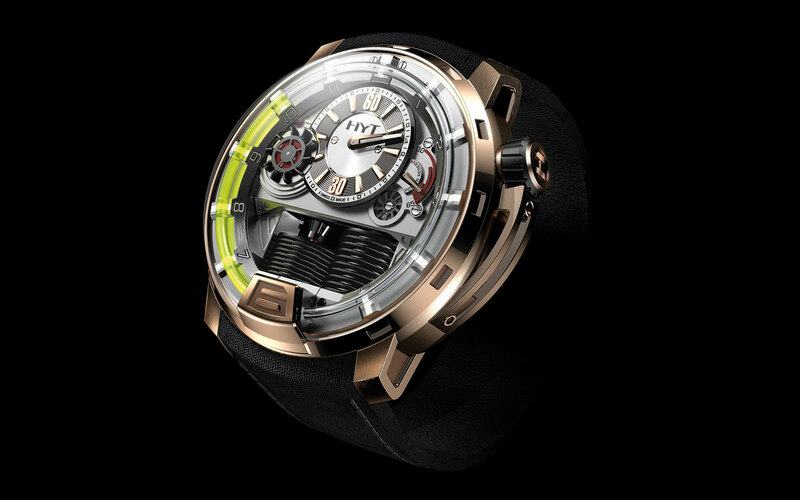 The H1 by HYT is what happens when Haute Horlogerie meets fluid mechanics. As one of the two reservoirs at 6 o'clock compresses, the other expands, and vice versa, to push the fluids they contain through the tube. As the hours pass, the luminescent liquid advances. The half-moon meniscus marks the point where the two fluids meet to indicate the hour. At 6 pm, it returns to its initial position in a retrograde movement. A 5 mm sapphire crystal, sculpted from a single block, accentuates the three-dimensional architecture. The upper part of the watch is a destructured geometry of superpositions and reliefs. The small seconds counter which overlaps the minute regulator in the centre bears a striking resemblance to a waterwheel. 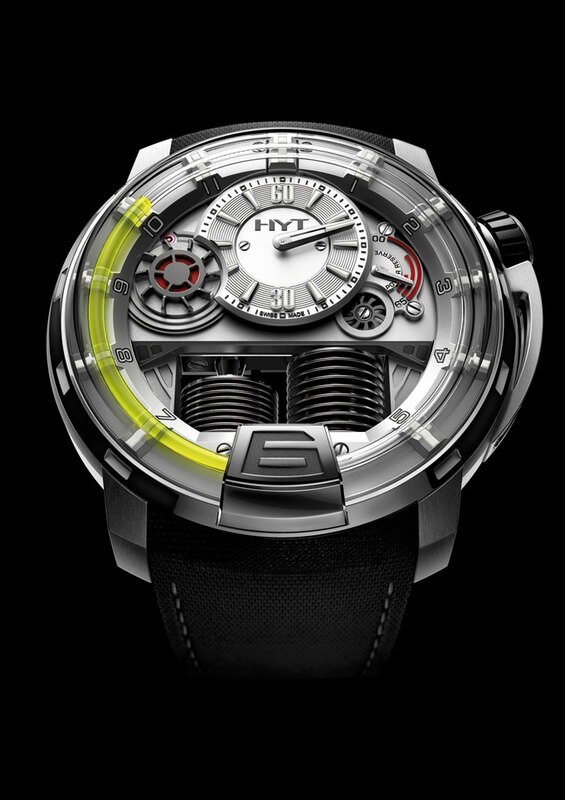 The 65-hour power reserve is shown at 2.30, divided into three arcs of a circle.